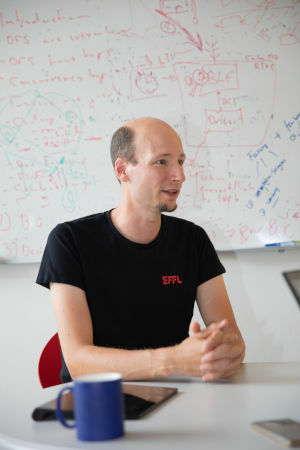 Mathias Payer is a security researcher and an assistant professor at the EPFL school of computer and communication sciences (IC), leading the HexHive group. His research focuses on protecting applications in the presence of vulnerabilities, with a focus on memory corruption and type violations. He is interested in software security, system security, binary exploitation, effective mitigations, fault isolation/privilege separation, strong sanitization, and software testing (fuzzing) using a combination of binary analysis and compiler-based techniques. More details are available in his CV. After 4 years at Purdue university, he joined EPFL in 2018. Before joining Purdue in 2014 he spent two years as PostDoc in Dawn Song's BitBlaze group at UC Berkeley. He graduated from ETH Zurich with a Dr. sc. ETH in 2012, focusing on low-level binary translation and security. He analyzed different exploit techniques and wondered how we can enforce integrity for a subset of data (e.g., code pointers). All prototype implementations are open-source. In 2018, he co-founded the EPFL polygl0t CTF team and in 2014, he founded the Purdue b01lers CTF team. Some of his random ramblings on security-related topics are published on a security blog. You can find his publications under Publications or on Google scholar. His Curriculum Vitae is available as well. Address: Station 14, CH-1015 Lausanne, Switzerland. Interested in joining my research group? Read this advice for prospective students and send me an email.